By this point, you know the importance of recycling—why “going green” isn’t only good for the environment but good for your clinic. But there’s more to it than simply putting out a blue bin (although that certainly helps). In order to really make an impact, we have to start much sooner—we have to pay attention to our consumption. The less we consume (use), the better it is for all of us—our world, our children, and our children’s children. While that goes for everything—less gas, less plastic, less water, less electricity—one of the easiest ways to start conserving is cutting down on paper. Half the world's forests have already been cleared or burned, and 80% of what's left has been seriously degraded. 42% of the industrial wood harvest is used to make paper. The paper industry is the 4th largest contributor to greenhouse gas emissions among United States manufacturing industries, and contributes 9% of the manufacturing sector's carbon emissions. Paper accounts for 25% of landfill waste (and one third of municipal landfill waste). Municipal landfills account for one third of human-related methane emissions (and methane is 23-times more potent a greenhouse gas than is carbon dioxide). If the United States cut office paper use by just 10% it would prevent the emission of 1.6 million tons of greenhouse gases—the equivalent of taking 280,000 cars off the road. Compared to using virgin wood, paper made with 100% recycled content uses 44% less energy, produces 38% less greenhouse gas emissions, 41% less particulate emissions, 50% less wastewater, 49% less solid waste and—of course—100% less wood. 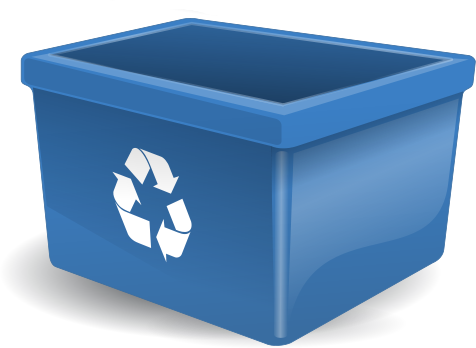 In 2003, only 48.3% of office paper was recovered for recycling. Recovered paper accounts for 37% of the U.S. pulp supply. Printing and writing papers use the least amount of recycled content—just 6%. Tissues use the most, at 45%, and newsprint is not far behind, at 32%. Demand for recycled paper will exceed supply by 1.5 million tons of recycled pulp per year within 10 years. While the paper industry invests in new recycled newsprint and paper packaging plants in the developing world, almost none of the new printing and writing paper mills use recycled content. China, India and the rest of Asia are the fastest growing per-capita users of paper, but they still rank far behind Eastern Europe and Latin America (about 100 pounds per person per year), Australia (about 300 pounds per person per year), and Western Europe (more than 400 pounds per person per year). The Forest Stewardship Council's certification of sustainable forestry practices is growing, with 50% of the paper product market share and 226 million acres accounted for. Advocates say the demand for recycled paper and sustainably harvested pulp from consumers, advertisers, magazine makers and other users of paper will yield the fastest reforms of the industry. And paper’s damaging effects on the environment (aka paper pollution) aren’t limited to it’s production (which emits Nitrogen dioxide (NO2), sulfur dioxide (SO2), and carbon dioxide (CO2)). Paper sitting in a landfill decomposes and produces methane, which, according to an article on PaperCutz.com citing the United Nations Environment Programme (UNEP), is “a greenhouse gas with 21 times the heat-trapping power of carbon dioxide.” (Global warming, much?) Even paper recycling can be a source of pollution because of the sludge produced during deinking. While it may be tempting to print long articles, important emails, or in-clinic memos to read (or post), resist. By browsing, reading, and sharing on screen, you’ll reduce your paper consumption and printing costs dramatically (think how quickly reams of paper and ink costs add up). You’ve got a smartphone; use it. Most phones (definitely all iPhones and Androids) have built-in notepad apps so get to know yours. This way, when you need to jot down something quickly, you’ll be in the habit of just pulling out your phone. Plus, if you need to share your tidbit of genius, you can simply copy it and paste it into a text or email message. Use scratch paper (if you have to). Chances are there will be times (albeit occasionally) when you need to write on a piece of paper—when carting around a laptop, a tablet, or your smartphone isn’t feasible. Just make sure you reach for scratch paper instead of a brand new sheet. Find an empty corner and make your note. Then wait until you fill the entire page before you toss it in the recycle bin and start again. And finally, go digital. By adopting a comprehensive physical therapy EMR solution, you’ll eliminate paper charts, calendars, manilla files, registration forms, hard copy claims, and everything else “paper” you currently devote to documentation. Not only will that make your paper consumption next to nonexistent, your office will be more organized and less cluttered. Need another reason (like dollar signs) to make the switch? According to a Power DMS infographic on the EMR effect, a paper chart costs $8 per year to maintain; an electronic chart costs about $2. Not only will transitioning to an EMR reduce your paper use and therefore your impact on our forests and natural resources, but you’ll also greatly reduce your in-clinic expenses. We make the world that our kids will grow up in. I know I’d rather make a few small changes to my habits now and save the forests, the climate, and the air for them. In honor of this month’s Earth Day, I’m going to take my own advice and nix solo cups and paper utensils; use my phone’s note taking app more; and go cold turkey on my sticky note addiction. What paper-conserving changes will you make to create a better world for tomorrow?